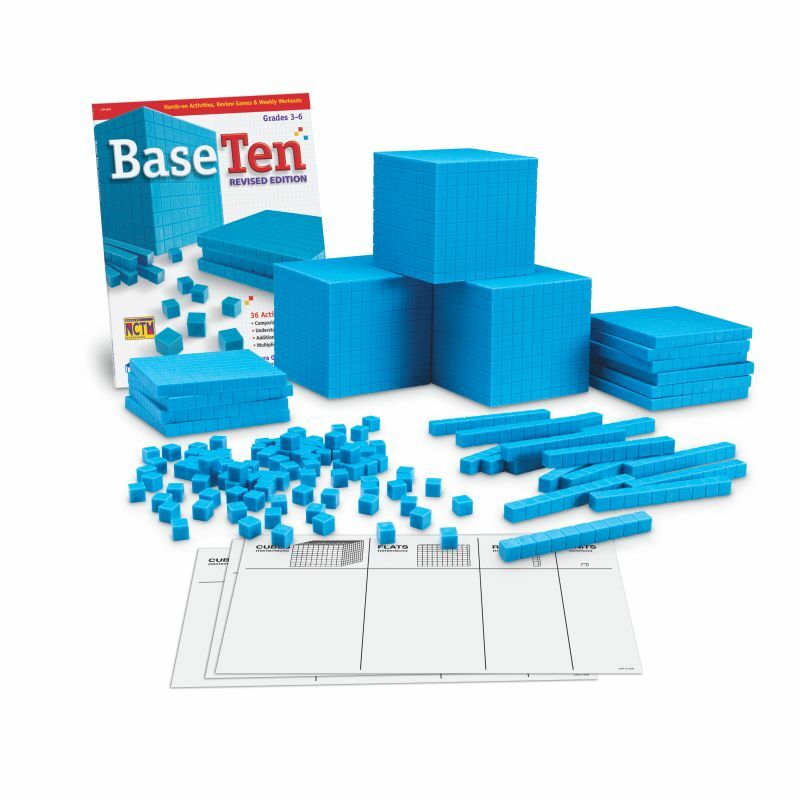 This set of base ten components engages students in concrete demonstrations of place value and base ten concepts. Plastic set is washable and durable for years of hands-on activities. Set includes 100 units, 50 rods, 10 flats, 3 cubes, 1 pad of 25 place-value charts, and Base Ten book.